Low Water Pressure? Maybe It’s Your Filter! Sprinkler performance may be adversely affected by a clogged or partially clogged filter in your irrigation system. The city does not filter the secondary water from its delivery sources, so from season to season the amount of particulates in the water may vary. Additionally, in the hottest periods of the season, there is a greater chance for moss and debris to build up in your individual filter. Cleaning the filter is very important. We recommend that it be done at the beginning and middle of each watering season, as a minimum. 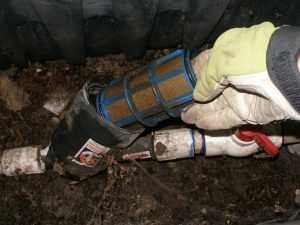 Residents who clean their filters monthly have reported that their flows increase by up to 50%. If the problem persists, call the city’s Public Works Department for assistance. The city has provided an instructional PowerPoint presentation to assist you in finding the main valve and filter: How to Clean Your Pressurized Irrigation Water Filter.